Meridian telephone systems have become known as one of the most reliable and scalable systems on the planet. From smaller applications to incredibly large campus environments, Nortel Meridian phone systems have it covered. See below for more detail on several Meridian products. Option 11C is great for smaller, stand-alone systems, or in a networked enterprise environment, with capacities from 60 to 800 ports. Option 11C systems deliver a level of reliability that is unseen in other manufacturers' solutions. It is also very feature rich with advanced applications such as Unified Messaging, Call Center Services, Remote Office networking, and is fully IP capable. Option 11C provides a perfect fit for any physical requirement with a wall mount cabinet option or the convenient 19” rack mount chassis. Call us today for a custom configured solution to fit your needs. Meridian's Option 61C and 81C are larger platforms than the 11C, supporting both TDM and VoIP communications for business with up to 16,000 ports. These systems do everything the 11C does and more, including supporting large network platforms and 802.11 wireless IP telephone systems. See below for a list of features. 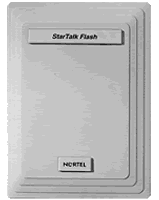 Nortel Norstar is a platform designed to support small to medium sized businesses delivering a reliable, feature-rich telecommunications experience. Dynamic CommSource offers the complete Norstar product line including systems to support 8 to 272 ports. Refurbished Norstar systems are a great, cost-effective way to supply a reliable solution with all of the advanced applications to keep your business on the cutting edge of technology.